Download the zip file directly to My Documents/American Truck Simulator/mod. There's no need to unpack it. Enable it in the in-game Mod Manager. Enjoy! 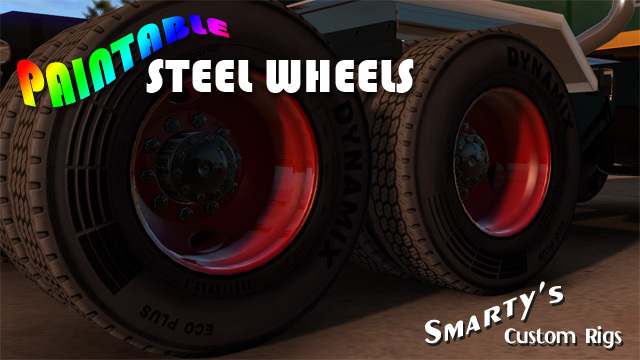 This simple mod makes the base game steel wheels and nuts paintable. 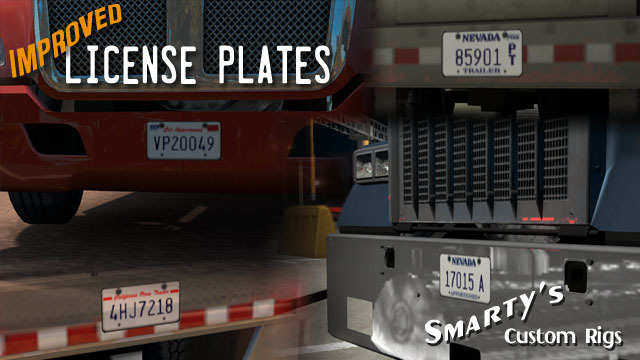 This mod doesn't increase the resolution of the license plates. There are many technical reasons why this is inadvisable and it is likely not possible anyway. 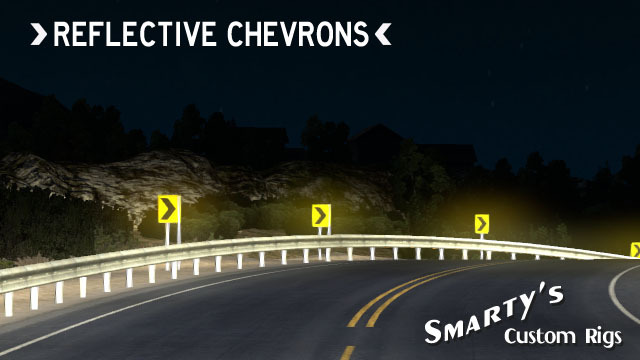 This simple mod adds a reflective layer to the chevron signs in American Truck Simulator so they are easier to see at night. 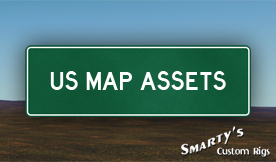 This is a resource for map modders which adds a small selection of assets – most notably some regulatory and state welcome signs. 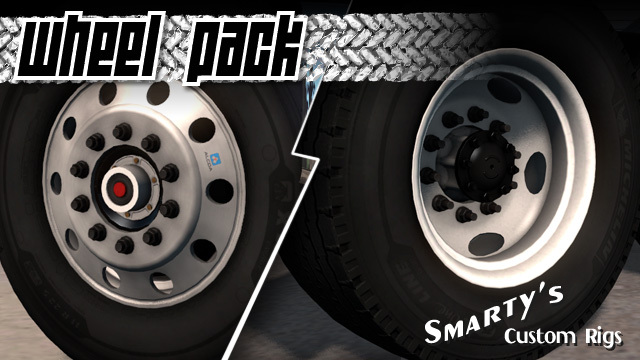 For more information about the contents of this package, please see its thread on the SCS forums.